There are many advantages to having your offspring move in down the road, dog walking being the main one, of course. 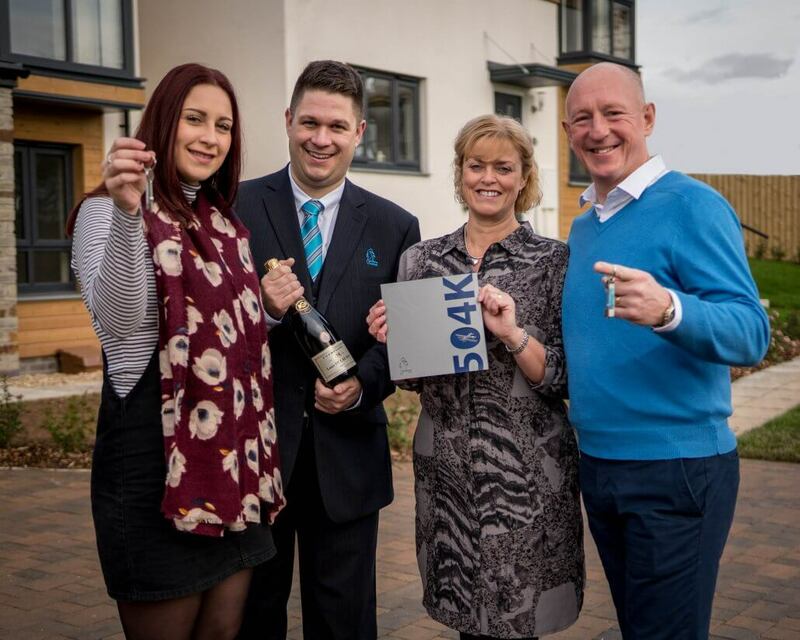 When Andy and Tracy Prater went house hunting in Plymouth ­– where Tracy grew up and where she and Andy met when he was a submariner in the Royal Navy – it didn’t take long for them to decide they wanted to live at Cavanna Homes’ flagship 540K development, or for their adult daughter to either. Located off Plymbridge Lane, a short commute to the city centre, 504K is an eclectic mix of two, three and four-bedroom modern, energy efficient, low maintenance homes, now in phase four of the five phase project. And while one made an ideal home for the newly retired couple, another made the perfect first-time buyer home. When Andy, 55, left the Navy after 22 years’ service, the couple moved to Southampton for Andy’s subsequent jobs as an instructor in submarine engineering at Portsmouth Naval Base and then as an engineer for the National Air Traffic Services. But with Tracy’s family still in Plymouth and Andy’s in North Devon, they were keen to move back to West Devon upon Andy’s early retirement this year. Meanwhile, the couple’s daughter Jodie, 23, was keen to settle in Devon having studied and worked as a nurse in Bournemouth for a number of years. The couple considered other new-build developments but was drawn to 504K for its “stylish” design. “We hadn’t really considered a new build because we’d never had one before and wanted an older property, just because they tend to have a lot of character,” continued Tracy. “But as soon as we got to 504K we fell in love with the houses, which are so stylish. We love the mix of slate and wood, the design really appealed to us. Within the week, the couple reserved a Walden home, one of the development’s stylistically innovative properties with its largely brickwork exterior giving it an air of rural charm, and moved in this November. At the same time, it was Constable, which boasts two en-suite bedrooms, which won over Jodie, who never thought she’d be able to afford a “such a nice” house, so close to where she now works at Derriford Hospital. The fact it will be a two-minute walk away from her parents’ house is a happy bonus. “Jodie was planning on buying in Plymouth but wasn’t planning on moving down for another year,” explained Tracy. “But the house swung it. “She never thought a property like this would be affordable for her, and she is so pleased to have a new build so she won’t have to have a pot of money for maintenance or worry about something breaking down, because they come with a 10-year guarantee. Cavanna Group Director Martin Cavanna, said: “It was our intention all along to provide a mixed housing development that would appeal to a wide variety of people including first time buyers, families and retired couples.